Artist/Writer C.B. Fraser's wry, whimsical collages and haiku combine to give readers a unique take on the world of felines. The illustrations in this 6" x 6", delicately embossed, soft-cover book depict an array of cat personalities, while the haiku capture the eccentric appeal of these entertaining creatures. 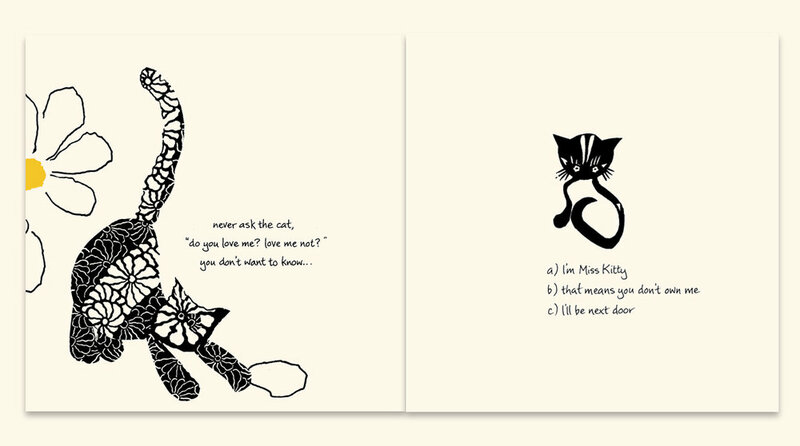 Even the cat-averse will find a smile or two hiding inside HAIKU CATS' 96 pages. Click the images below for a peek inside the book!